Kalia inc. (hereinafter “Kalia”) is committed to ensuring the confidentiality of any information conveyed via the Internet or on the website (the “Site”). Kalia reserves the right to modify this Policy at any time, effective as soon as changes are posted on the Site, with no liability to you or any other individual. If we make modifications, we will post the new Policy on the Site and indicate the date of the most recent update. Kalia undertakes to uphold the confidential nature of any Personal Information that you may provide when using the Site or in another transaction. The Kalia website uses Secure Socket Layers (SSL) technology. This means that all personal and credit card information is transmitted in the form of an encrypted electronic message that guarantees confidentiality. The message therefore cannot be intercepted, altered or decoded by a third party. In addition, Kalia servers are protected by firewall-type technology. However, no security measure is perfect and you should be aware that there is always a certain level of risk that the Personal Information you submit to Kalia might be disclosed without your consent through no fault of Kalia. Kalia hereby waives any liability regarding the disclosure of your personal and confidential information, except in the event that such disclosure results from negligence on its part. 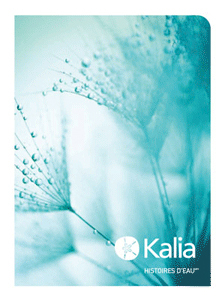 It is important to note that, in order to ensure security, no credit card-related data is kept on Kalia’s servers. Should you be concerned about the issue of confidentiality and the use of your credit card on the Internet, Kalia invites you to place your order by phone by calling 1-877-465-2542 and speaking with one of our representatives. 1.1.1 What Personal Information Does Kalia Gather? Kalia gathers only Personal Information that you provide when you use the Site, including specifically when you purchase products. “Personal Information” includes your name, address, phone number, email address, gender (male/female), credit card number and certain other information that you may agree to provide. In so doing, you agree that your confidential Personal Information may be gathered, used, and communicated for the purposes and events set forth in the Policy. 1.1.2 How Does Kalia Use My Personal Information? Kalia may use your Personal Information gathered on the Site to set up an account in your name, process your order, provide after-sale service, and personalize its communications with you. We may also use your Personal Information for statistical purposes and as required by law, including in compliance with court orders. 1.1.3 What Third Parties May Have Access to My Personal Information? Your Personal Information may be shared with our affiliated companies and/or service providers that contribute to or participate in various aspects of our commercial activities and product management; they may be located throughout the world, including in countries whose policies for protecting personal information are not the same as Canada’s. More specifically, we may give your address to the shipping company responsible for delivering the products you have ordered, and the details regarding your sales transaction and credit card number will be disclosed to the card issuer. Our service providers are subject to confidentiality agreements and other legal restrictions that prohibit them from using data we provide for any purpose other than fulfilling their specific duties as subcontractors. Kalia may also disclose your confidential Personal Information as required by law, including in compliance with court orders. The personal information gathered on the Site will be conveyed to the aforementioned third parties only. Kalia assures you that its advertisers and/or partners do not, at any time, have access to your confidential Personal Information. Moreover, Kalia does not resell its customer list. The Kalia Site includes links to other websites operated by other companies. By clicking on these links, you will leave the Kalia Site. Kalia has neither developed, reviewed or verified the accuracy of the data contained on these sites. Kalia has no control over the operation of these websites and the fact that they may be linked to the Kalia Site does not in any way render Kalia liable, specifically as regards their content, the products/services provided or any other damages or loss that they may cause you. Any Personal Information that you transmit through these websites will be subject to their policies for the protection of personal information. We suggest that you pay close attention to the privacy policies of these websites. Your Personal Information will be on our servers located in Ste-Marie.